Craftin' Caro: Designer Series Papers sample - part 3! Designer Series Papers sample - part 3! 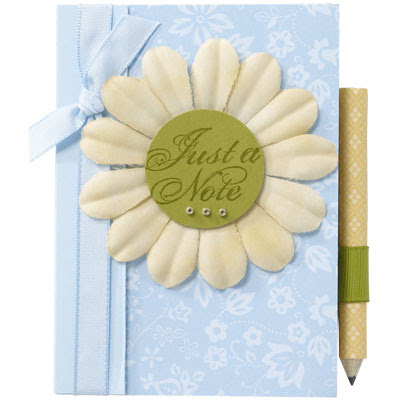 With the Bashful Blue Patterns Designer Series paper and a dyed flower from the Pretties Kit, you'll achieve instant background appeal and class on this darling notebook. Why not make one for Mother's day and put a smile on her face!